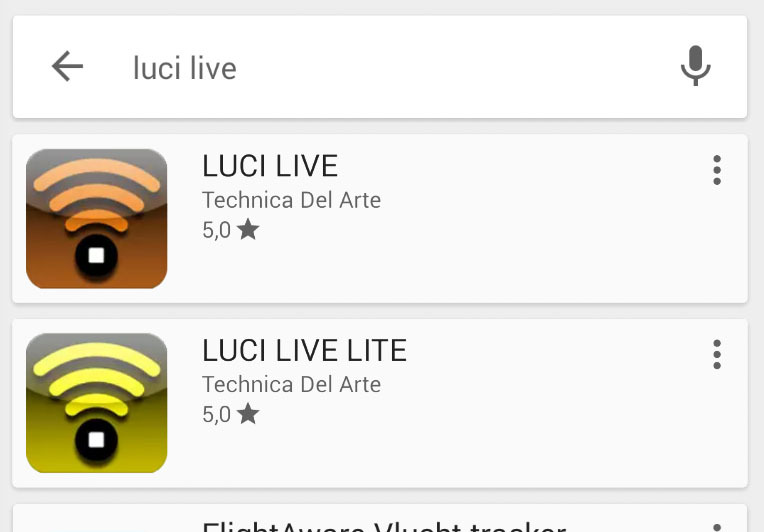 Install LUCI LIVE for Android via the Google App store, so choose App Store on your device. <- STEP 1: Type LUCI LIVE in search area. 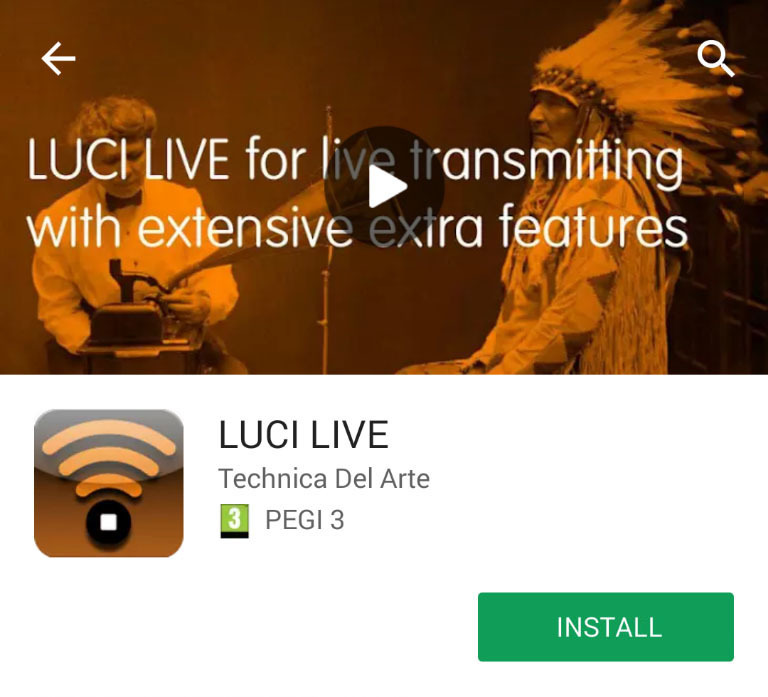 <- STEP 3: LUCI LIVE appears and then tap ‘INSTALL’ in order to download. Choose the LUCI LIVE app on your Apps page to get started.